Wonderful townhouse, centrally located in Madison School District. Clean & move-in ready @ a great price! 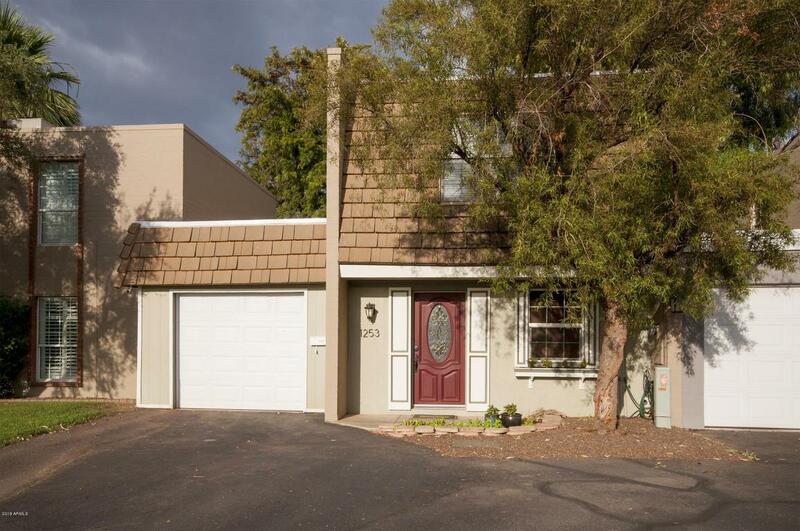 Shows beautifully -- downstairs w/ceramic tile flooring, lovely remodeled kitchen w/gorgeous solid wood cabinetry, granite tile counters & SS appliances. Living/kitchen is open concept w/double french doors that open onto private yard w/covered patio & synthetic grass. Downstairs remodeled half bath w/bowl sink vanity & hook-up for side x side laundry. 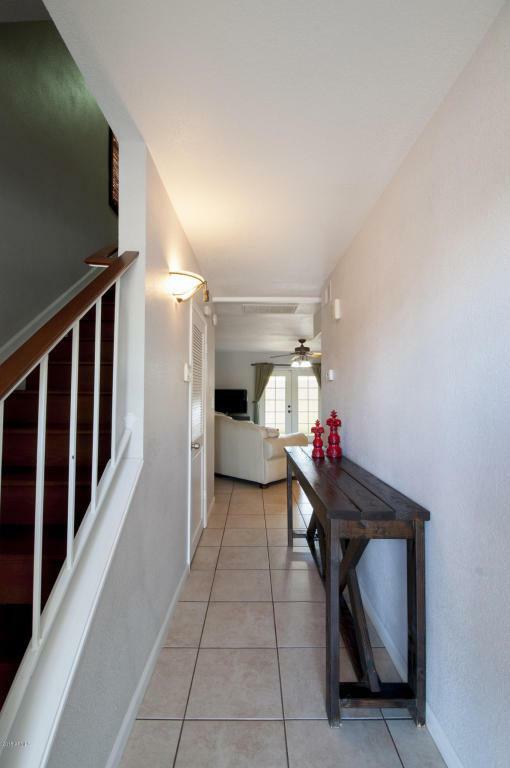 Walk upstairs via wooden staircase to the 2 bedrooms; large master w/designer paint touches & nice sized balcony. Full, remodeled bath w/lovely slate tiled shower, sky light, & wood vanity w/granite tile top. 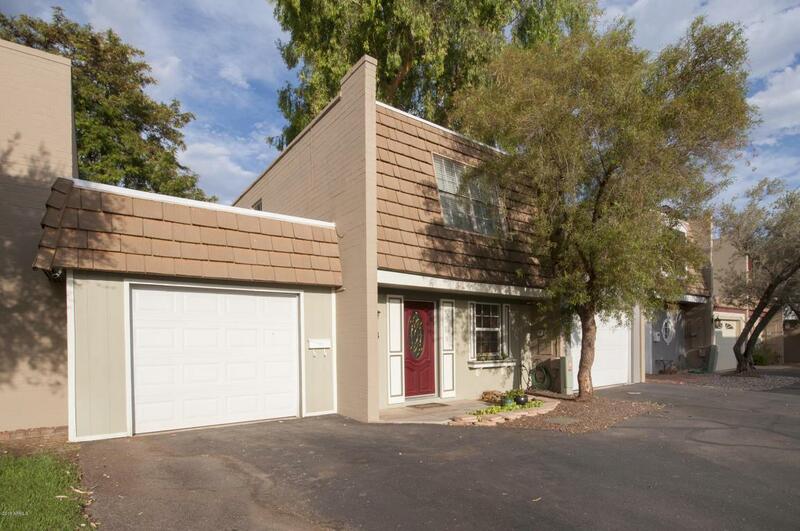 Unit has a garage & private driveway. Quiet community w/pool a stone's throw away! 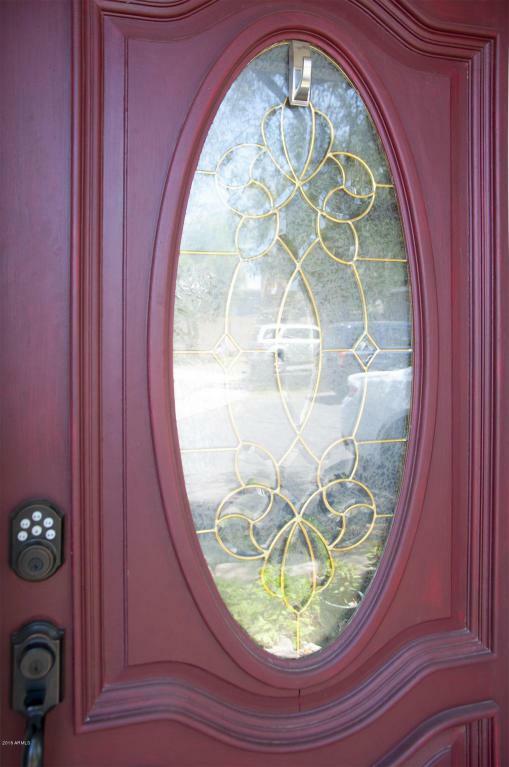 This one is a winner, come check it out today!